The 1791 Gunleather RVH1 J-Frame Revolver Belt Holster brings you the same hand-crafted artisan leather you expect from us, with a thoughtful design that comfortably and securely supports J-Frame sized revolvers. This OWB Revolver belt holster is a favorite among motorcycle riders carrying snub-nose firearms. It’s a perfect match for S&W, Ruger LCRs, and many other J-Frame size revolvers. Plus, with the many colors choices we offer the RVH1, you can find the best compliment for your revolver and best fit for your personal style. Note: The RVH1 holster does NOT fit Taurus revolvers. Contact us for specific model inquiries. Concealability – Some people carry their J-frames IWB for concealability, but the RVH1 is designed for minimal imprinting. Since it rides high, wearers are able to carry wearing a polo shirt and cargo shorts – no need for a baggy, oversized shirt or jacket! 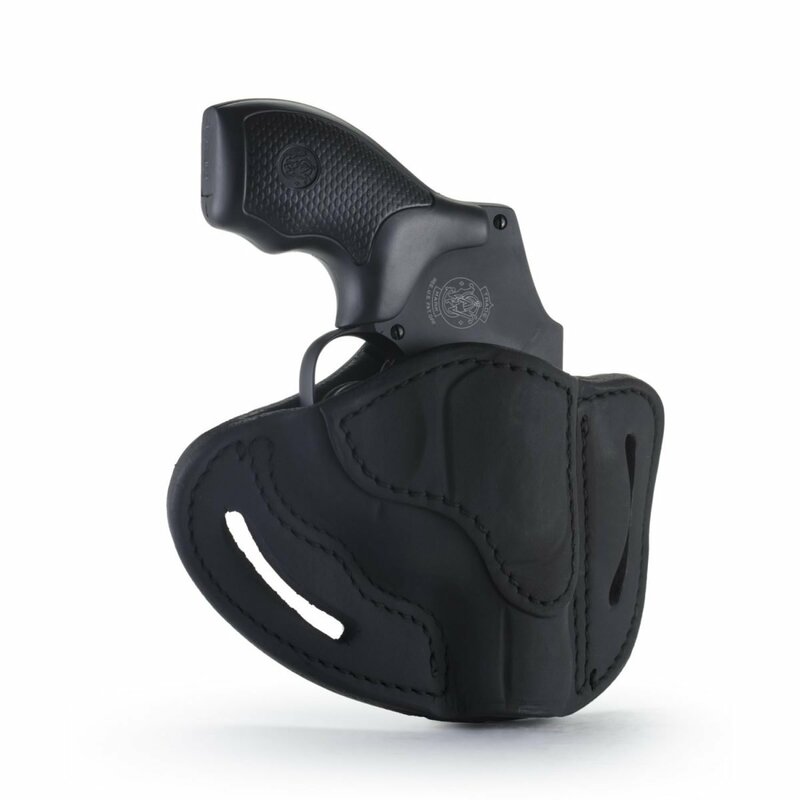 The quick draw design is perfect for personal protection and everyday carry. Retention – The last thing you want is for your weapon to come popping out unexpectedly. 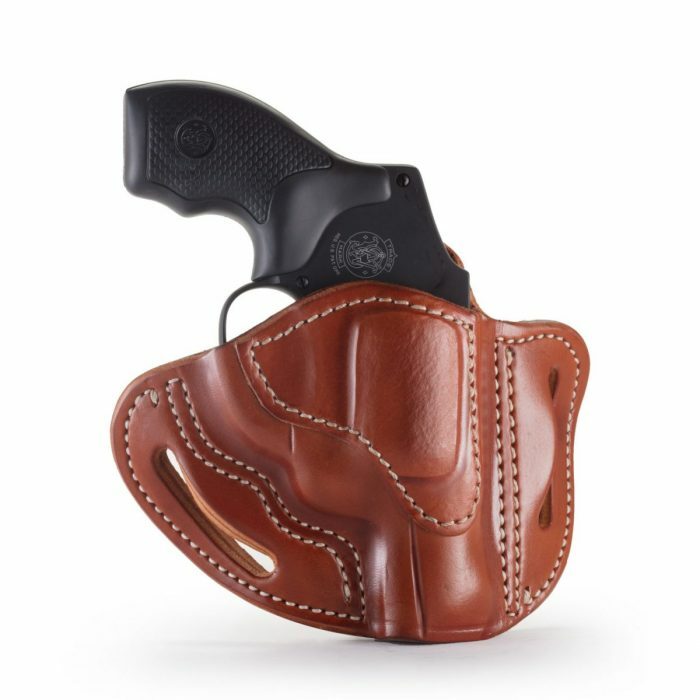 Leather revolver holsters hold your weapon in place through the firmness of high-quality steerhide leather, reinforced with double stitching, and the custom-sizing to J-frame revolvers. 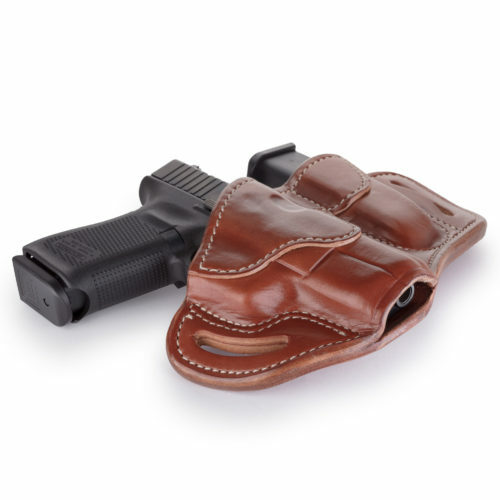 Most people do not need the extra thumb breaks, trigger hoods, or other retention straps found in other holsters. 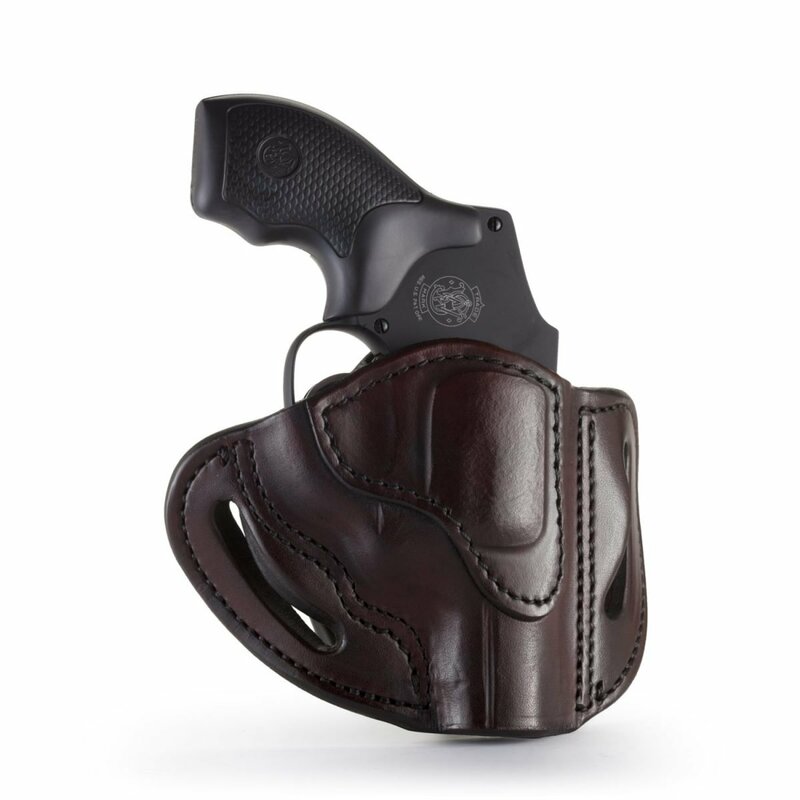 Comfort – Nothing beats leather revolver holsters when it comes to comfort! They warm up with your body heat and conform to your hip for all-day carrying. 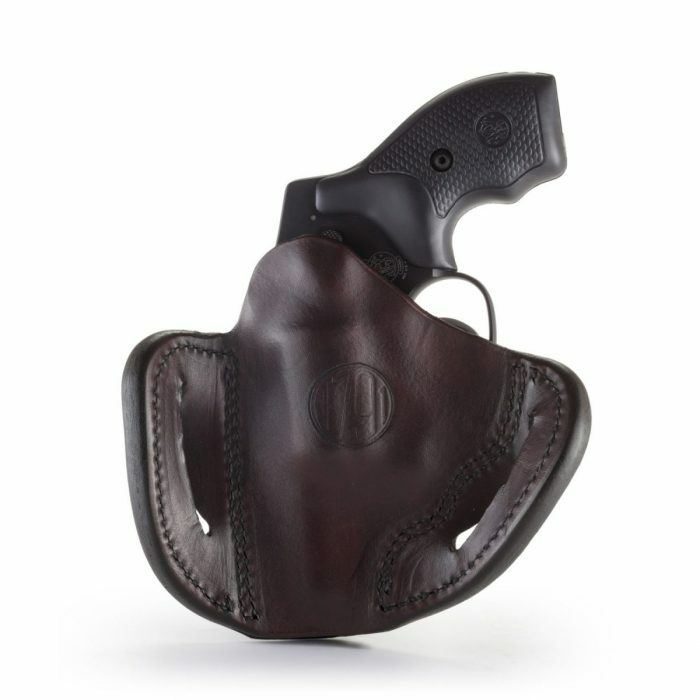 Compared to Kydex, leather revolver holsters are very lightweight. Furthermore, OWB carrying on a belt distributes the weight of your revolver evenly, so you don’t develop a sore hip over time. Durability – Proud gun owners who purchased leather holsters back in the 1970s find that they still perform today, even after heavy use. Our leather holsters are designed to have that same classic longevity. Unless you’re frequently carrying in a jungle swamp, a leather holster should have the sort of durability you need. 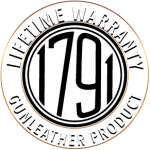 Every 1791 Gunleather holster comes with a Lifetime Warranty on craftsmanship. 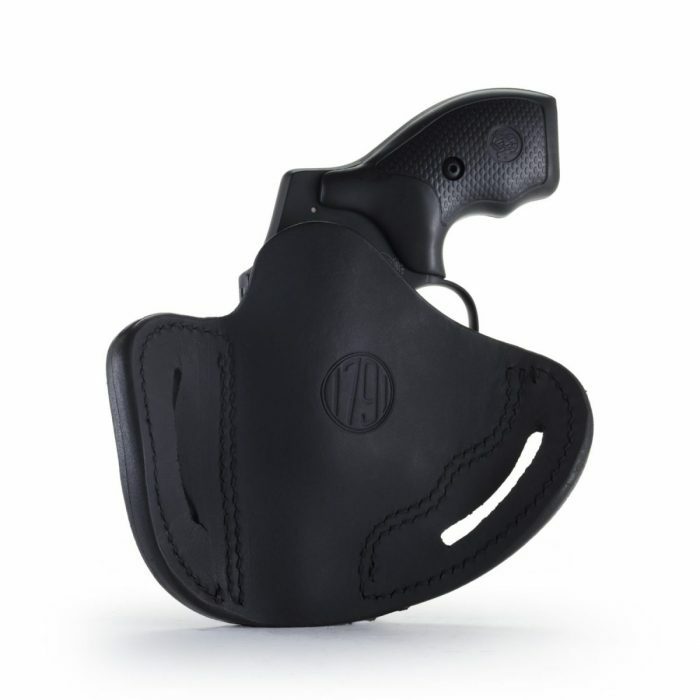 Designed to be the best J Frame belt holster available today, the 1791 RVH-1 holster is the ideal revolver holster for your concealed carry needs. We use 100% Certified American heavy native steerhide and American steel clips beveled for comfort and safe retention. We believe in quality craftsmanship that protects you and your firearm at all times. 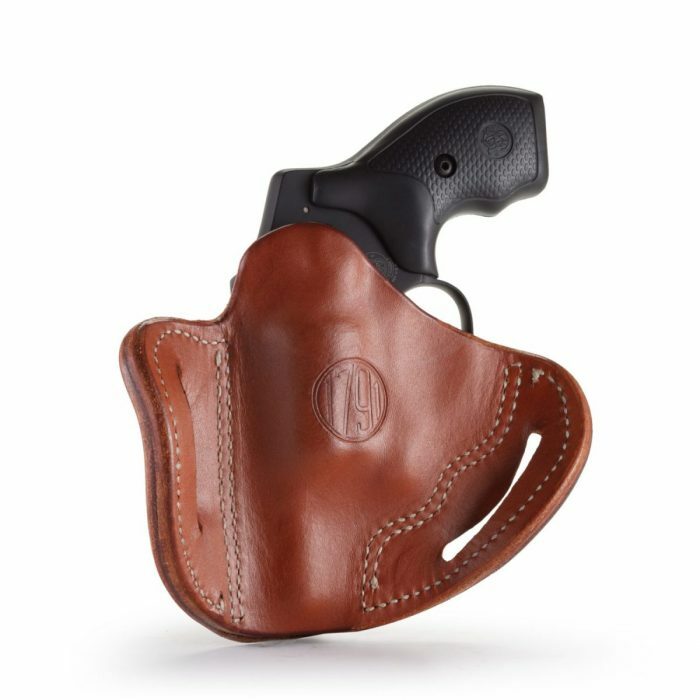 It could take up to six weeks to fully break in a premium genuine leather holster, but if for any reason you remain unsatisfied, we offer hassle-free returns. Contact us to learn more about our leather holsters and 100% satisfaction guarantee. 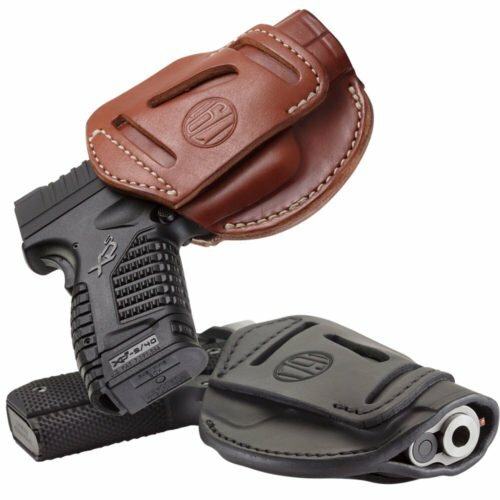 I bought this holster the other day at my locally-owned gun shop, and am loving it! After a day or so of the usual leather holster break-in, I am using this holster exclusively for my S&W J-Frame, and it conceals pretty well underneath a t-shirt. Living in Texas, it’s gonna get hot during the summer months, and I have no doubt that this will provide a comfortable carrying experience. This is my first, and hopefully not the last of 1791 products I purchase! Got this for a SP101, wraped in shrink rap plastic overnight. next day removed plastic and this is the best holster i have ever baught. and believe i have a lot of holsters. Bought this to carry my S&W 642. Fits great, rides great, and looks great! Bought for my J frame S&W 637. 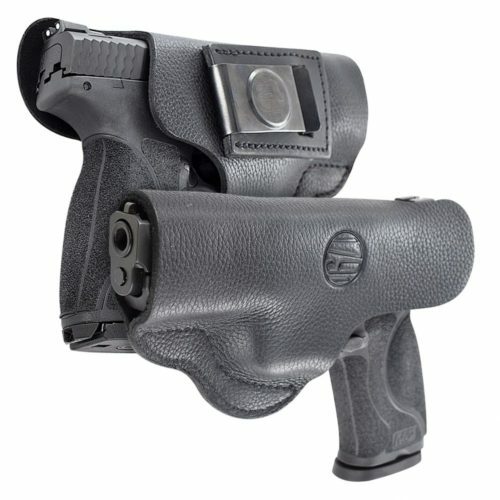 This is a top quality holster, looks great and fits great . Had no break in issues. I highly recommend it.